I am really having a lot of fun with this project. Since I have to make at least one piece of jewelry a week, I am pushing past the guilt feeling I get when I leave my hubby upstairs alone. Of course he is usually playing a video game and doesn't miss me anyways. The theme for the week was Deja Vu. It took me a while to figure out just what I was doing. 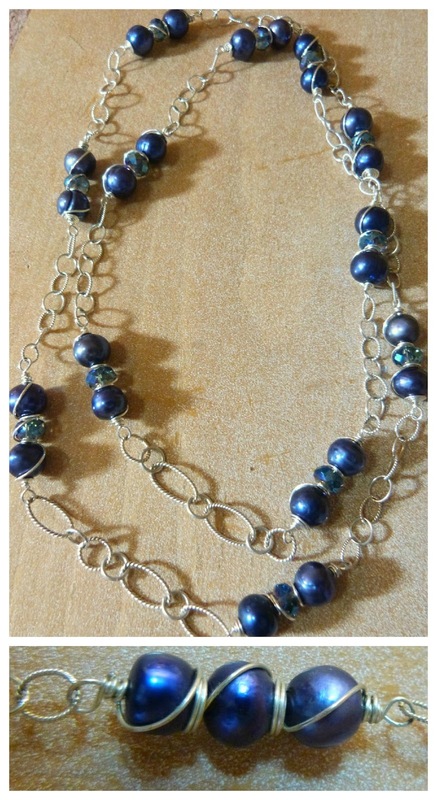 What I eventually decided to do was to remake a necklace that I did years ago before I was able to make consistent loops. So I took it all apart and redid it using sterling wire & chain. This necklace is actually for sale and for further info click here.